Liverpool striker Daniel Sturridge has had his heart set on a move to Arsenal all summer. The 26-year-old was confident that a deal would be done when he candidly spoke to a reliable CaughtOffside source earlier this month. 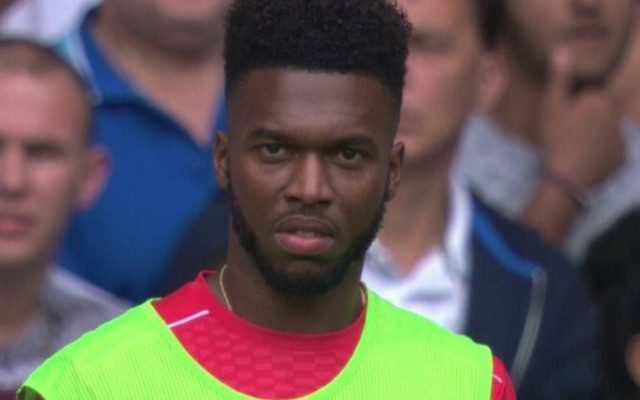 However, with time running out ahead of Wednesday’s transfer deadline, it seems that Sturridge could be left disappointed. Heard from good source that Daniel Sturridge wants to join Arsenal. Unhappy at Liverpool, fancies Ldn move. Might be forced to wait though. Sturridge, who is behind Roberto Firmino and Divock Origi in Jurgen Klopp’s striking plans, is keen to relocate to London. The former Chelsea striker also wants more guaranteed game time, which is something that – fitness permitting – Arsenal would surely be able to provide. Sturridge would be a perfect fit for Arsenal, whose style of play is not as physically demanding as Klopp’s high-pressing approach. Furthermore, Arsene Wenger would likely make Sturridge the focal point of his attack, rather than sticking him out wide where he is sometimes reluctantly deployed for the Reds. It is understood that Wenger is very interested in Sturridge, but that his valuation is ultimately what may see a deal fail to materialise. Liverpool are wary of selling to their direct rivals, but the fairly recent departures of Fernando Torres and Raheem Sterling to Chelsea and Manchester City respectively suggest that they will do business if the price is right.